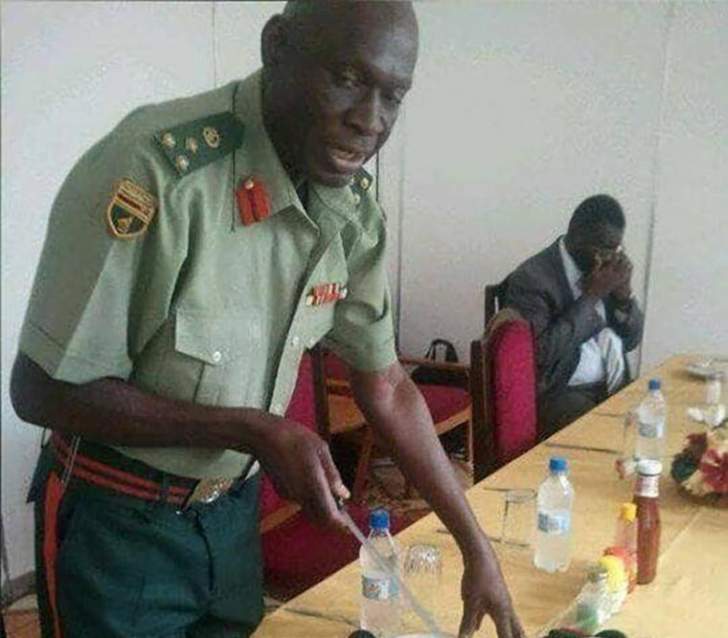 President Emmerson Mnangagwa's government has come under fire from Matabeleland activists for declaring the late Emilio Munemo a national hero despite his links to the Fifth Brigade, which is blamed for the deaths of over 20 000 people soon after independence. Munemo (64), a brigadier general, died last Sunday and was buried at the National Heroes Acre yesterday. At the time of his death he was director general of civil military relations in the Zimbabwe Defence Forces. Former president Robert Mugabe deployed the North Korean-trained army unit in the Midlands and Matabeleland province to fight the so-called dissidents, but researchers say it was a plot to crush support for the late vice-president Joshua Nkomo and his Zapu party. According to an interview with a researcher, Munemo, who was one of the top Fifth Brigade commanders, said the soldiers targeted Ndebele speakers for torture and even for killings. Activists said honouring Munemo showed that Mnangagwa's government was insensitive and did not care about the victims of Gukurahundi. "This is a slap in the face of thousands of his victims. Zanu-PF has the audacity to send Kembo Mohadi, himself a former Zipra/Zapu cadre, to deliver the shocking message that Munemo is a national hero," said Artwell Sibanda, the spokesperson for United Movement for Development Party led by former speaker of Parliament Lovemore Moyo. Zapu supporters and members of Zipra — a military wing of the party during the war — bore the brunt of the brutal crackdown by the Fifth Brigade. "The harrowing acts of unchecked barbarism and pillage cannot be rewarded with a hero status," Sibanda added. Munemo commanded one of the Fifth Brigade battalions and was later promoted from battalion commander to deputy commander before he later became commander of the Fifth Brigade, succeeding former Airforce commander and current Agriculture minister Perance Shiri. "The hero status is a monumental and evil insult on the collective conscience of Zimbabweans and another clear indication that this government is not committed to national healing and reconciliation," commented analyst Effie Ncube. "This government proudly trafficks in corruption, hate, genocide and crimes against humanity. "Honouring corrupt officials who destroy the country has become a culture of the leadership of the Zimbabwe." The Mthwakazi Republic Party (MRP) that has been vocal about Gukurahundi weighed in saying "honouring Munemo is an entrenchment and confirmation of Gukurahundi as a government ideology". "What hero status when the people of Matabeleland are still searching for answers and justice for his actions? It is a shame and contradiction to logic, having him to share the same honour with such men like Joshua Nkomo," said Njabulo Ngwenya, the party's spokesperson. Mnangagwa has faced protests from activists and Gukurahundi victims in Pretoria, South Africa, and at the Zimbabwe International Trade Fair in Bulawayo in 2017 over his lack of action in dealing with the emotive issue. Last year while in Davos, Switzerland, for the World Economic Forum, Mnangagwa was questioned over his role during Gukurahundi, and whether he was prepared to apologise. He did not apologise, but has indicated that he is prepared to apologise if recommended by the National Peace and Reconciliation Commission. "Victims want redress yet perpetrators are awarded and made heroes. It is contradicting the spirit of reconciliation," commented Ekem Moyo, the chairperson of the Concerned Freedom Fighters group. Gwanda-based commentator Bekezela Maduma Fuzwayo said Munemo's hero status showed that the government did not regret the Gukurahundi atrocities. "It just goes to show that Mnangagwa is far from regretting Gukurahundi and he keeps rewarding Gukurahundi perpetrators with heroism," he said. "It's more saddening that Mnangagwa even showers him with praises and says his ‘good deeds have followed him'. "This kind of behaviour never erases Gukurahundi anger in the people of Matabeleland." Mnangagwa showered praises on the late general in his condolence message to the Munemo family. "This is testimony that Zanu-PF isn't worried about Gukurahundi victims who are still reeling in poverty and lack official documents like birth certificates and national registration cards," said Felix Magalela Mafa-Sibanda, the chairperson of the Post-Independence Survivors Trust that represents Gukurahundi victims. Matabeleland chiefs have also upped pressure on government to address the emotive issue, forcing an angry reaction from government. In January, Chiefs Vezi Maduna and Felix Nhlanhlayamangwe Khayisa Ndiweni wrote to the South African parliament requesting permission to be allowed to present "facts" about the 1980s mass killings in Matabeleland and Midlands to lobby the regional powerhouse to push for an independent investigation into the atrocities. In November 2018, they petitioned the United Nations seeking the setting-up of an independent inquiry into the Gukurahundi massacres, attracting an angry government response. Mbuso Fuzwayo, the coordinator of pressure group Ibhetshu LikaZulu, said the passing away of commanders of the Fifth Brigade was regrettable but defeats the efforts of truth-telling as "perpetrators take the truth to their graves". "Ibhetshu is concerned that the lack of urgency to address the Gukurahundi genocide will deny the nation the entire truth from those that implemented this callous act thus, deprive the nation of true healing," Fuzwayo said, adding: "Any delay in addressing this is an act of selfishness and will deny this country proper and true integration."